Vertical blinds offer different types of chain system or in a one control system. Vertical Blinds offer adjustment of light filtering system. Vertical Blinds do not only come in a single style, which is commonly seen the straight down style. Vertical Blinds also come in S-Curve style which is known as S-Vertis Blinds. S-Vertis Blinds are great alternative to the standard vinyl blinds which you usually see in offices or home. 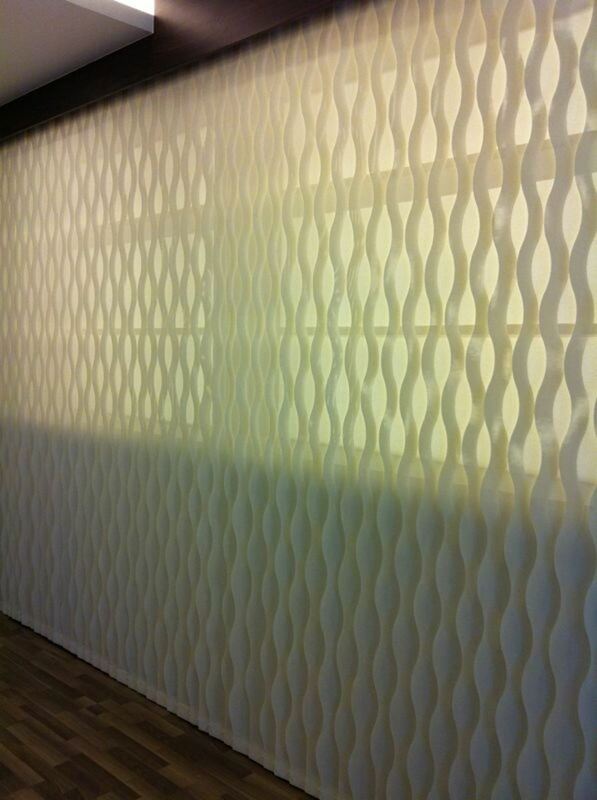 The vanes of S-Vertis Blinds have a gentle S curve, ripple-look alike, and also similar to drapes. While standard vertical blinds look like a straight wall of vinyl vanes when closed, S-Vertis Blinds make your window looks unique as it offers the gentle ripple look and brighten you the atmosphere instantly. Additionally, S-Vertis vertical blinds block-out more light than traditional vinyl vertical blinds, since the ripple edge overlaps each other and able to block small spaces in between. S-Vertis vertical blinds, similar to the standard vinyl vertical blinds are perfect for large windows or sliding glass doors. They are durable and attractive, at the same time an economical solution to your window dressings. The S curve vane provides a tighter and closed closure for a drapery/ripple-like appearance and maximum light blockage. Vinyl verticals are low maintenance with optimal light control and privacy. Choose from The Curtain Boutique’s variety of colours and textures for your home blinds. We are a leading Singapore Curtains & Blind supplier that offers you a one stop solution for all your soft furnishing needs.